Here is 2013, a new year, more daylight ahead, and winter driving to deal with. As you prepare for another year of trucking, now is a good time to assess the state of your preparations. Maintenance checks and safety checks: now is the time to take stock and bring your work up to date. This also includes looking at the state of your insurance needs and coverage. Have you added trucks to a fleet? Brought on kinds of business? Hired a driver? You’ll want to make sure that your insurance coverage is also up to speed. Are your documents up to date? Make sure you have vehicle registrations, your current insurance policy declarations page (“dec page”), driver’s license numbers and basic driving histories of all drivers, including speeding tickets and VIN numbers (vehicle identification numbers) of each vehicle, and verify that your lines of authority are active and in good standing. Liability Insurance – this is the mandatory insurance which pays for any damage you cause with your truck. Driving without this insurance is an offense and could result in heavy penalties. Are all drivers and vehicles accurate on your policy? Motor Truck General Liability Insurance – this coverage pays for injuries or property damage you cause through business activities when outside of your truck. Bobtail/Deadhead Insurance – also known as non-trucking liability, this insurance is voluntary when you lease your truck to another carrier. It provides coverage for your truck when you’re not under a load and not under dispatch (i.e. when you’re having it serviced). Motor Truck Cargo – this insurance covers the load you’re carrying. It isn’t mandatory but some shipping companies insist on it. Physical Damage Coverage – also not a legal requirement, this insurance covers your truck against perils like collision, fire, theft, vandalism and flood damage. Are all of your units insured for the correct value? It is very important to review stated amounts (limits) for each truck insured. Are you a long-haul driver? You’ll want to check with your insurance company about the radius of operation restriction for Primary Liability coverage and how they calculate it. An insurance agency may request copies of your IFTA statements to verify how far you are travelling. Keep current copies of the last four quarters in the event the company requests them. Whether you need insurance as an owner-operator, motor carrier or private carrier, we can advise you and quickly get the coverage and the paperwork that you need. What kind of trucking insurance do you need? Coverage options for truckers can be extremely complex. But if you start with the basics, trucking insurance comes down to four simple ideas. Some types of insurance are required for all. Some are required based on cargo or company. Some are recommended based on location or circumstances. Some meet a need for peace of mind. Every trucker should understand how he is insured before leaving the driveway. Here are the top types of insurance that you are likely to need or want. Primary liability insurance: This insurance covers damages created by you with your truck. It is required for all commercial truckers and is the responsibility of the company. Should I have it? Yes. How much do I need? The FMCSA requires a limit of $750,000, but check with your company or contract first. Many require a $1,000,000 limit. What happens if I don’t have it? Expect significant fines and possibly a revoked license. Physical damage coverage: This is coverage for damage that occurs to your truck while moving or sitting. Typically, it covers events like fire, glass breakage, theft and vandalism. This coverage is the responsibility of the trucker and is not required. Should I have it? It depends on your situation and the value of your tractor and trailer. Ask your insurance agent for a recommendation. What happens if I don’t have it? If damage occurs that makes your truck unable to run, your career may be at serious risk. Bobtail (or deadhead, non-trucking) insurance: When you are not working, or under dispatch, and your truck is being maintained or repaired in the shop, parked in your driveway or at the car wash, bobtail insurance provides liability and sometimes physical damages (insured’s discretion). This coverage is the responsibility of the trucker and is not always required. Should I have it? Answer these questions: Whether in your driveway or a garage, is the truck in a space safe from falling objects? Will you lose sleep if it is not insured against not-work-related accidents? What happens if I don’t have it? 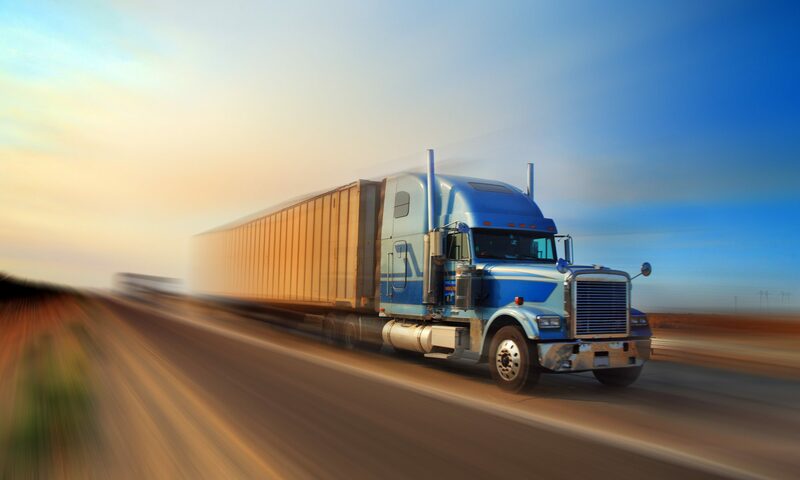 Like physical damage coverage, bobtail insurance keeps you on the road. Anyone leased onto another company should carry thing and normally is required to do so. Motor truck cargo insurance: This covers your vehicle’s cargo if it is damaged in a collision, fire or other on-the-job accident. If your freight is accidentally dumped on a road or waterway, motor truck cargo insurance covers the cleanup of areas as needed. Should I have it? Often times a shipper will require this insurance. How much do I need? Your limit depends on the cargo and the shipper. What happens if I don’t have it? If your shipment does not require cargo insurance and damage happens to your cargo without this insurance, you are responsible for covering the damaged freight. Whether you are a rookie trucker or have logged many miles on the road, being equipped with solid advice about your insurance is one of the most important keys to a safe and protected career. Because of the complexities of trucking insurance and frequently changing regulations, working with insurance companies that specialize in commercial trucks, like Jones & Wenner Insurance, is your best bet for selecting the right coverage options. Gear Shift is brought to you by Jones & Wenner Insurance, a trucking insurance specialist in Akron, Ohio. For more information, please visit www.jones-wenner.com or call 330-867-4434. © 2017 Jones & Wenner Insurance Agency, Inc.